WE UNDERSTAND THE CHALLENGES OF DOING BUSINESS IN THE CITY. You want your computer recycling project done when you want it done. We use our own trucks and our own team members, with 100% control over the timing of your scheduled service. 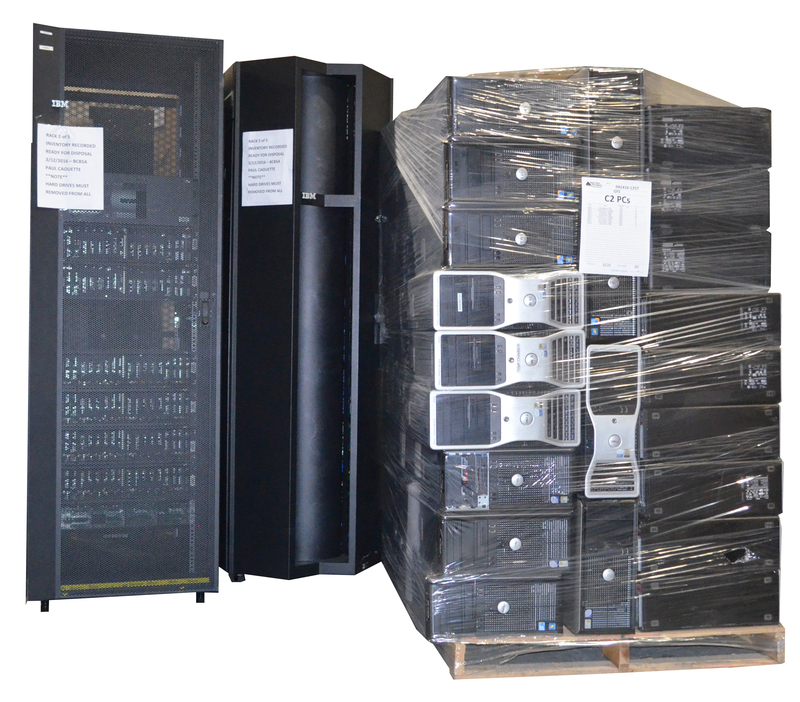 Our onsite service technicians are experienced computer technicians that not only know what the outside of a computer looks like, they know what the inside looks like. They efficiently inventory, sort, and package your computer equipment for transport, always checking for unexpected hard drives. Disposing of obsolete computer equipment has become complicated by regulatory restrictions. NYC and NY State require auditable records of your environmentally compliant computer recycling activity. We are a Federal EPA permitted universal waste electronics destination facility. Our environmental compliance certificate is a legal document both in NYC and NY State. Federal and State data privacy laws require that all personally sensitive information on obsolete data media be destroyed prior to disposal. We provide both onsite and plant based hard drive, tape, SSD shredding services with serial number chain of possession documentation that is attached to our NIST and NAID certified Certificates of Destruction.